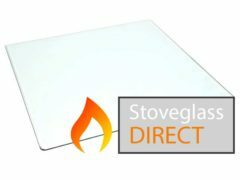 Order you heat resistant stove glass in three easy steps. Either identify your stove manufacturer and model from the list shown in our online shop. Alternatively input the length and width you require for a quote in our stove glass calculator. Our glass is quoted at industry standard 4mm thick. Your replacement glass panel will be dispatched within two working days.